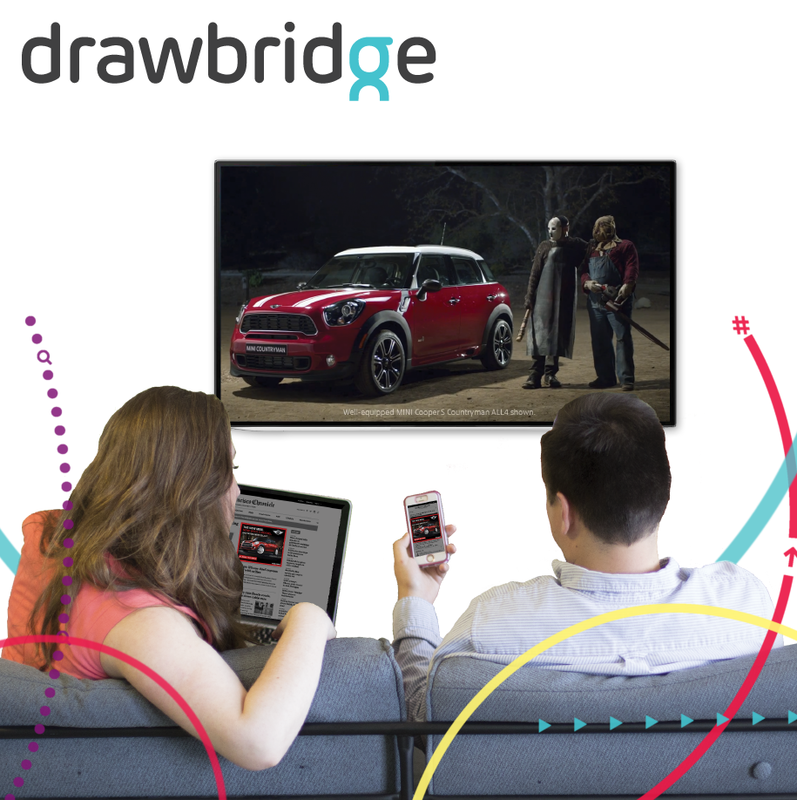 Drawbridge, the leading cross-device technology company, and TVTY, the moment marketing company, have partnered to enable marketers to sync their digital reach across smartphones, tablets, and personal computers with TV programming in real-time through the Drawbridge Cross-Device Platform. The integration enables brands to implement moment marketing campaigns – instantly syncing digital campaigns with offline events such as TV ads, shows, sports, and weather events. Brands are now able to achieve seamless cross-channel reach while driving deeper efficiencies as part of their overall marketing strategy. TVTY’s proprietary technology accurately monitors and reacts to more offline triggers than any other platform on the market – including TV ads, weather, sports, financial, health and pollution. Drawbridge is automatically alerted via an API integration when a specified event is detected by TVTY’s unrivalled TV monitoring technology. The appropriate digital campaign is then programmatically activated across devices through the Drawbridge Cross-Device Platform. The technology allows brands to react to aired ads immediately, rather than an approximation based on a media plan model. This is essential as peak consumer interest occurs within 10 seconds of the ad being shown, so brands need to serve digital ads instantly to capture this interest. TVTY currently monitors every TV ad, in real-time, across over 400 TV channels in 25 countries, using a combination of automated video recognition and human analysis. This is more accurate and faster than audio recognition which loses the subtly of an on-screen cue and requires more information to recognize an ad. Drawbridge is the leading anonymized cross-device identity company building technology that fundamentally changes the way brands connect with people. The Drawbridge Connected Consumer Graph™ includes more than one billion consumers across more than three billion devices, and was recently found by Nielsen to be up to 97.3% accurate. Brands can work with Drawbridge in three ways: by licensing the Drawbridge Connected Consumer Graph for cross-device data applications; managing cross-device ad campaigns in real-time using the Drawbridge Cross-Device Platform; or working with Drawbridge to execute cross-device campaigns. The company is headquartered in Silicon Valley, is backed by Sequoia Capital, Kleiner Perkins Caufield and Byers, and Northgate Capital, and was named the fastest growing marketing and advertising company and sixth overall on the 2015 Inc. 5000 list. For more information visitwww.drawbrid.ge. TVTY enables advertisers to synchronize their digital campaigns with offline events in real time (TV shows, commercials, weather/weather forecasts, sporting events, financial triggers, and more). With TVTY, advertisers can ensure that their message reaches the right audience at the right time. With TVTY’s SaaS Moment Marketing Platform, advertisers pick offline moments, and sync their existing digital campaigns seamlessly. TVTY is already integrated with leading DSPs and ad servers, and is compatible with all digital marketing channels including search, display, video, and social. TVTY is a VC backed start-up that has offices in New York, London and Paris and operates in more than 30 different countries worldwide. TVTY offers premium advertising solutions to top-tier brands such as McDonald’s, Coca-Cola, Ford, Samsung, Microsoft, Kia, and more.